Levee in lake where those who fish and painter exist. Free stock photo. Japan:Niigata, 2048x1536, 4335KB. On this page, you can download the photo titled "Levee in lake where those who fish and painter exist". The resolution of this photograph is 2048x1536. And the size is 4335KB(4438920B). 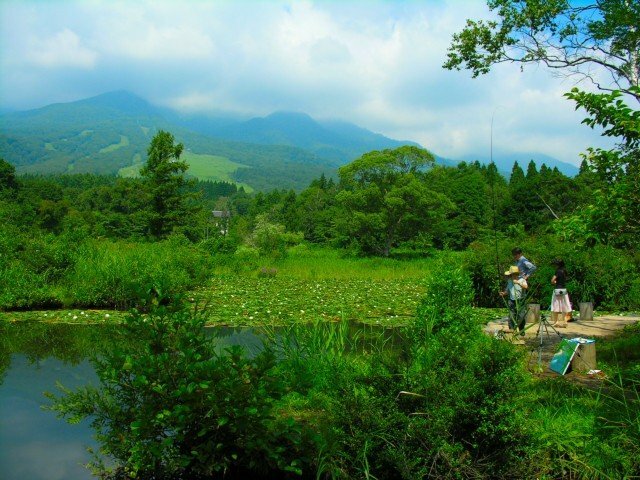 The image belongs to the categories named " Japan Niigata Mountain_and_Snow Water Pond_and_Lake Animal People Plant Others_concerning_Plant ".